Originally published in 1991, Reflecting on Miss Marple looks at the incongruous combination of violence, murder and a sweet, white-haired old lady, and examines why this makes such a potent but unlikely formula. 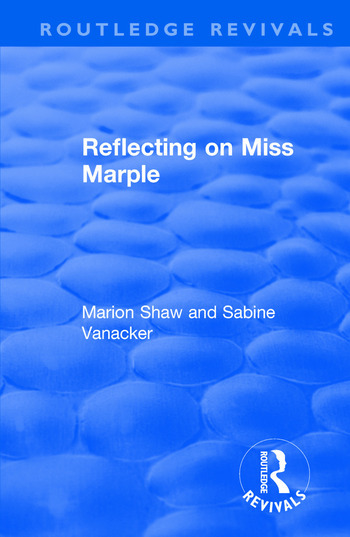 The book is an astute and engaging account which reveals Miss Marple as a feminist heroine, triumphantly able to exploit contemporary prejudices against unmarried women in order to solve her case. The authors explore the inherent contradictions of Agatha Christie’s Miss Marple novels, their social context, and their place in detective fiction as a whole. Marion Shaw is head of the English department at the University of Hull. She lives in Kingston-on-Soar in Nottinghamshire.